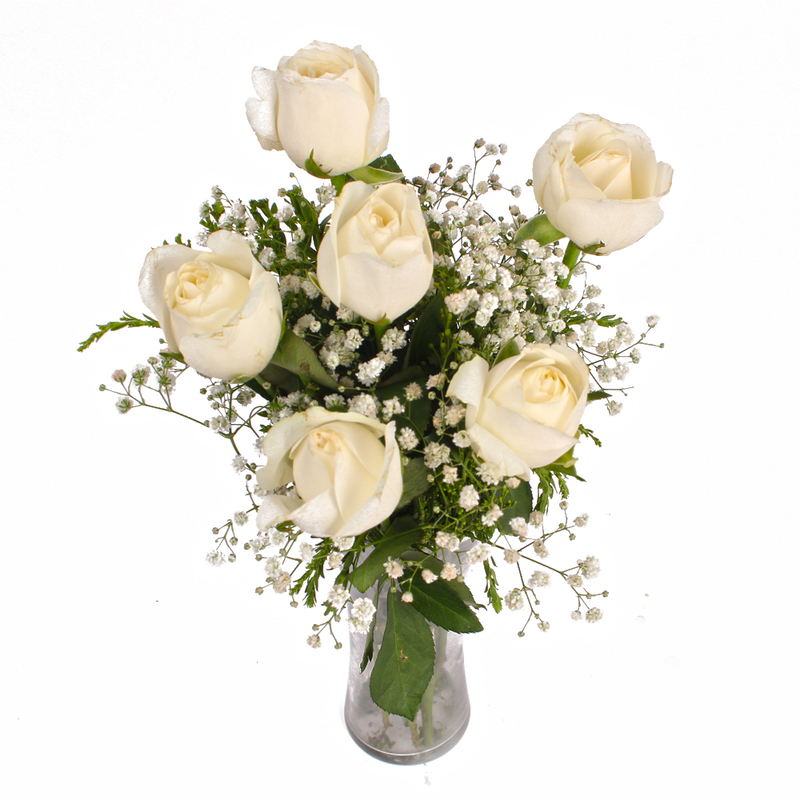 Gift your loved ones a wonderful and amazing Vase bouquet of white roses. 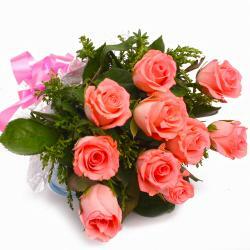 It symbolizes elegance, thoughtfulness and care for the person to whom you are sending this bouquet. 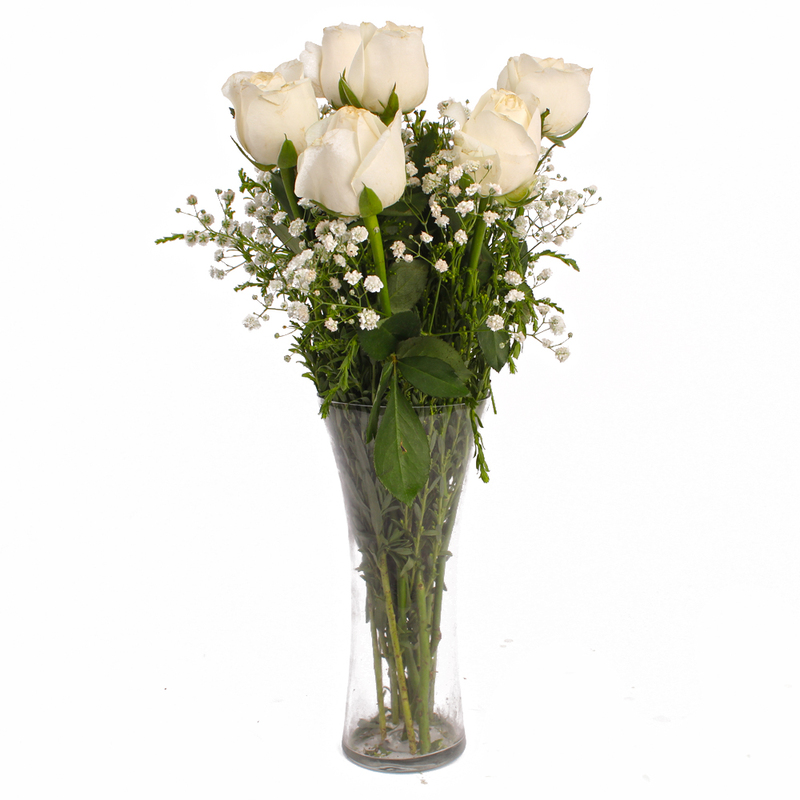 This bunch comprises of six stem white roses in a traditional glass vase efficiently garnered to perfection. 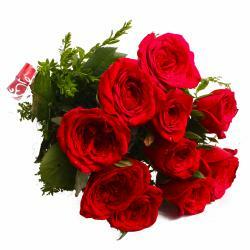 Spread the fragrance of respect and care for the lady and make her feel the most beautiful one in this whole world. 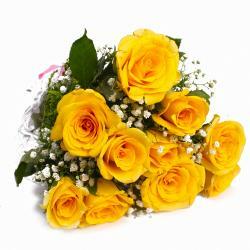 Make her smile on different occasions like Birthday, Anniversary, Romantic mood, Valentines Day, Missing You, Just Because, Durga Puja, Women’s Day, Daughters Day, Easter, and so on. 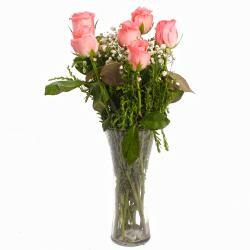 Product Contains : Six White Roses with green fillers in Glass Vase.